In this complaint Mr. Mason, although worded differently that his previous complaints, re-makes the allegation that Judge Graham denied him access to the courts by summarily denying a string of motions for in forma pauper status and that Judge Graham did not identify either of the only two reasons allowed for such denial. The allegations of this Complaint are “directly related to the merits of a decision or procedural ruling” and “successive”. Therefore, pursuant to Chapter 16 of Title 28 U.S.C. § 352(b)(I)(ii) and Addendum III Rules 4(b)(2) and 18(e), this Complaint is DISMISSED. Lying and intentionally misrepresenting law. Refusing to rule on a motion for a preliminary injunction that had been pending for more than 17 months. Allowing scores of motions and filings to languish without being decided. Usurping legal authority. Allowing a Magistrate to issue an injunction prohibiting direct communication with the Highlands County Government. Additionally, prohibiting Marcellus Mason from making public records request under Florida Law directly to Highlands County. Violating clearly established law and the authority of the U.S. Supreme Court by issuing pre-filing injunctions without notice and opportunity to be heard. Abuse of the criminal contempt procedure. Judge Graham took a clearly invalid sua sponte issued pre-filing injunction and made it the basis of a criminal contempt complaint and conviction. Lying and intentionally misrepresenting material facts. Ignoring the U.S. Supreme Court denying access to the courts by refusing to state any reason for denying IFP applications. disregard of the law and the United States Supreme Court. No. 01-0054; No. 01-0054-Judicial Council; No. 01-0068; No. 01-68-Judicial Council; INTERVENING MANDAMUS; No. 02-0006; No. 02-0006 -Judicial Council; No. 02-0029; No. 02-0034; No. 02-0052; No. 02-0059; COMPLAINTS FILED IN 2005; No. 05-0008; No. 05-0011; No. 05-0012; No. 05-0013; No. 05-0020; No. 05-0021. On February 22, 1999, Judge Edward B. Davis allowed Marcellus Mason to file a lawsuit without paying the filing fees, or in forma pauperis, “IFP”, due to indigency. See Order, (D.E. #3)(“Having examined the Plaintiff’s Motion and Financial Affidavit, the Court finds that the Plaintiff has demonstrated his inability to pay fees or give security in this matter, as required by 28 U.S.C. § 1915(a). The Court also finds that Plaintiff appears to have brought this action in good faith.;”). 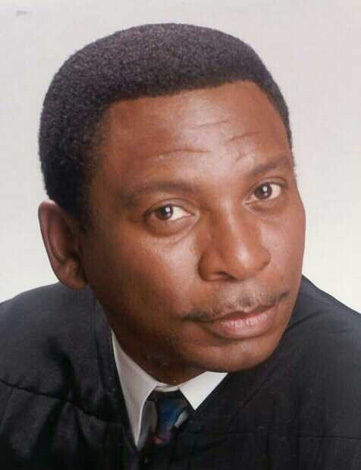 Judge Davis retired and the case was assigned to Judge Donald L. Graham. The case was ultimately dismissed on June 20, 2001. The case was dismissed on June 20, 2001. (D.E. 791). The case was assigned Case No. 01-13664 by the Eleventh Circuit. A motion to proceed on appeal in forma pauperis was filed on July 13, 2001. (D.E. #799). A second motion to proceed in forma pauperis was filed on August 10, 2001. (D.E. #811). THIS CAUSE having come on to be heard upon an Order of Reference from the Honorable Donald L. Graham, dated September 10, 2001, and this Court having reviewed the aforementioned Motions and the pertinent portions of the record, and noting that in other actions filed by Plaintiff, Judge Graham has denied Plaintiff’ s motions to proceed in forma pauperis (Case Nos. 00-14116, 00-14201 , 00-14202, 00-14240), and further noting that this Court has compared Plaintiff’s previously filed IFP motions and accompanying affidavits with the instant motion and affidavit and has found no relevant difference, and being otherwise advised in the premises , it is hereby ORDERED AND ADJUDGED that Plaintiff’s Motions to Proceed in Forma Pauperis are DENIED . Appellant’s motion for leave to proceed on appeal in forma pauperis is DENIED because appellant has not truthfully provided this Court with information concerning his ability to pay the filing and docketing fees. See Moreland v. Wharton, 899 F.2d 1168, 1170 (11th Cir. 1990) (holding that right to proceed IFP is not absolute, but rather is left to the sound discretion of the court. See Case No. 01-13664 IFP Order, pg. 1. Appellant has filed a “motion for reconsideration and clarification,” which is construed as a motion for reconsideration of this Court’s order dated December 12, 2001, denying leave to proceed on appeal in forma pauperis. Upon reconsideration, appellant’s motion for leave to proceed on appeal in forma pauperis is DENIED. See Case No. 01-13664 IFP Order, pg. 2. (a) Leave to Proceed in Forma Pauperis. (3) Prior Approval. A party who was permitted to proceed in forma pauperis in the district-court action, or who was determined to be financially unable to obtain an adequate defense in a criminal case, may proceed on appeal in forma pauperis without further authorization, unless the district court–before or after the notice of appeal is filed–certifies that the appeal is not taken in good faith or finds that the party is not otherwise entitled to proceed in forma pauperis. In that event, the district court must state in writing its reasons for the certification or finding. A string of appellate courts have parroted the provisions of Rule 24 of the Federal Rules of Appellate Procedure. “Rule 24 of the Federal Rules of Appellate Procedure, which governs our own in forma pauperis practice, permits any litigant who has been allowed to proceed in an action in the District Court in forma pauperis to proceed on appeal in forma pauperis without further authorization, unless the District Court certifies that the ‘appeal is not taken in good faith or shall find that the party is otherwise not entitled so to proceed” McKelton v. Bruno , 428 F.2d 718; 138 U.S.App.D.C. 366 ¶4(D.C. Cir. 1970). “”If a litigant is granted i.f.p. status in a district court, and if that status is not revoked in the district court, the litigant, upon filing a notice of appeal, continues on appeal in i.f.p. status. Fed.R.App.P. 24(a)” Leonard v. Lacy, 88 F.3d 181n.2(2nd Cir. 1996). “Normally, when a litigant is granted leave to proceed in forma pauperis by the district court, this status carries over in the Court of Appeals. Fed.R.App.P. 24(a). However, if the district court dismisses the case as frivolous under 28 U.S.C. Sec. 1915(d), the litigant must reapply to this Court to proceed in forma pauperis on appeal, since a finding of frivolousness is viewed as a certification that the appeal is not taken in good faith. 28 U.S.C. Sec. 1915(a); Fed.R.App.P. 24(a). Dismissal of a complaint by the district court under Rule 12(b)(6) or any other rule does not negate the in forma pauperis status. Because the district court dismissed the complaint using the language of Rule 12(b)(6), and not as frivolous under 28 U.S.C. Sec. 1915(d), there was no need to again grant Oatess leave to proceed in forma pauperis.” Oatess v. Sobolevitch, 914 F.2d 428 n.4(3rd Cir. 1990). “[W]e are mindful of the provisions of Fed.R.App.P. 24(a) concerning appeals in forma pauperis. This rule provides that a party who has been permitted to proceed in the district court in forma pauperis ‘may proceed on appeal in forma pauperis without further authorization unless, * * * the district court shall certify that the appeal is not taken in good faith or shall find that the party is otherwise not entitled so to proceed, in which event the district court shall state in writing the reasons for such certification or finding. '” Liles v. The South Carolina Department Of Corrections, 414 F.2d 612¶14(4th Cir. 1969). “In case the district court certifies that the appeal is not taken in good faith, the required written statement must show not merely that the appeal lacks merit, but that the issues raised are so frivolous that the appeal would be dismissed in the case of a nonindigent litigant. See Coppedge v. United States, 369 U.S. 438, 82 S.Ct. 917, 8 L.Ed.2d 21 (1962); Ellis v. United States, 356 U.S. 674, 78 S.Ct. 974, 2 L.Ed.2d 1060 (1958). Additionally, an appeal is properly denied as lacking the requisite good faith where there is a clear indication that the conduct of an indigent appellant amounts to a deliberate harassment of the courts or an intentional abuse of the judicial process” id. n.1. “(1) a district court may certify that an IFP appeal is not taken in good faith under section 1915(a)(3) and Rule 24(a); (2) if the trial court does so, it is required under Rule 24(a) to set forth in writing the reasons for its certification;” Baugh v. Taylor, 117 F.3d 197 ¶23(5th Cir. 1997). “Under Fed.R.App.P. 24, a party granted ifp status in the district court retains that status on appeal unless the district court certifies that the appeal is not taken in good faith, in which case the district court must state in writing the reasons for the certification.” Williams v. Shettle, 914 F.2d 260, ¶4(7th Cir. 1990). Peterson v. UNITED STATES of America, 467 F.2d 892 (8th Cir. 1972). “”Petitioner renews his motion to proceed in forma pauperis in this court. This motion is moot, however, because Petitioner is already entitled to proceed in forma pauperis: Petitioner proceeded in forma pauperis in the district court, and the district court never certified that the appeal was not taken in good faith or found that the Petitioner was otherwise not entitled to proceed in forma pauperis. See Fed. R. App. P. 24(a)(3); Singleton v. Hargett 1999 WL 606712 at *1 n.2 (10th Cir. 1999) (unpublished opinion) (dismissing as moot petitioner’s motion to proceed in forma pauperis in the court of appeals). “Because he was permitted to proceed in forma pauperis in the district court, and because there has been no change to that designation, Petitioner retains his in forma pauperis status on appeal pursuant to Fed. R. App. P. 24(a)(3).” Id. See also Celske v. Edwards, 165 F.3d 396, 398 (7th Cir. 1998) (holding that the petitioner retained his leave to proceed in forma pauperis in the court of appeals because the district court had made no certification of bad faith). Rhodes v. True, No. 99-3026 (10th Cir. 1999). THIS CAUSE having come on to be heard upon an Order of Reference from the Honorable Donald L. Graham, dated September 10, 2001, and this Court having reviewed the aforementioned Motions and the pertinent portions of the record, and noting that in other actions filed by Plaintiff, Judge Graham has denied Plaintiff’ s motions to proceed in forma pauperis (Case Nos . 00-14116, 00-14201 , 00-14202, 00-14240), and further noting that this Court has compared Plaintiff’s previously filed IFP motions and accompanying affidavits with the instant motion and affidavit and has found no relevant difference, and being otherwise advised in the premises , it is hereby ORDERED AND ADJUDGED that Plaintiff’s Motions to Proceed in Forma Pauperis are DENIED. See Case No. 01-13664 IFP Order, pg. 1. Notions of fundamental fairness without recitation to the law would require the Eleventh Circuit to support its conclusion that the “appellant has not truthfully provided this Court with information concerning his ability to pay the filing and docketing fees“. Consequently, Mason filed a motion for rehearing demanding to know the factual basis for the Eleventh Circuit’s conclusion that Mason had been untruthful. The Eleventh Circuit absolutely refused to provide a factual basis to support its conclusion. Judge Donald L. Graham and the Eleventh Circuit both ignored the good faith requirement as their denials do not assert that the appeal was not taken in good faith much less provide any proof that the appeal was not taken in good faith. A petitioner demonstrates good faith when he seeks appellate review of any issue that is not frivolous. See Coppedge v. United States, 369 U.S. 438, 445 (1962). “Dismissal of an in forma pauperis complaint is appropriate when the claim is based on ‘indisputably meritless legal theory or factual allegations are clearly baseless. '” Heghmann v. Indorf, 2005 Bankr. LEXIS 767,*;324 B.R. 415; (1st Cir. 2005). “[I]f a judge is convinced, as the judge was here, that there is no substantial question for review and an appeal is frivolous and therefore futile, it is his duty to certify that the appeal sought to be taken in forma pauperis is not taken in good faith.” Parsell v. UNITED STATES of America, 218 F.2d 232 ¶25(5th Cir. 1955). In Johnson v.Dencek, 868 F.2d 969 (7th Cir. 1989), the court remanded the case for a determination that the appeal was not taken in good faith where the district failed to make the determination. In Johnson, the court ultimately allowed the plaintiff to appeal in forma pauperis notwithstanding the district findings of frivolousness that was predicated upon the plaintiff’s attorney conclusion that the lawsuit lacked merit. The benefits of this generous provision [in forma pauperis], now codified at 28 U.S.C. § 1915, have been limited, however, by the important proviso added in 1910 (36 Stat. 866) which, as now amended, reads: “An appeal may not be taken in forma pauperis if the trial court certifies in writing that it is not taken in good faith.” “Good faith” has been defined as a requirement that an appeal present a nonfrivolous question for review. If the district court certifies that an appeal would not present such a question, then an indigent may ask the court of appeals for permission to proceed in forma pauperis. That court must grant the renewed motion if after a de novo determination it disagrees with the district court’s application of the good faith test. If both lower courts refuse permission, then, unless this Court vacates the court of appeals’ finding, the pauper’s appeal is ended without a hearing on the merits. See Fed.Rule App.Proc. 24(a). It is important that, in all of these proceedings, the only cognizable issue is whether a summary survey (as opposed to plenary deliberation) suggests that a substantial argument could be presented…Our holdings have steadily chipped away at the proposition that appeals of the poor can be disposed of solely on summary and abbreviated inquiries into frivolity, rather than upon the plenary consideration granted paying appellants.